Ever wanted to make a classic style stage but the textures look like this when you import them? Eww right? Well, this is caused by a filter that all textures use in standard shading. 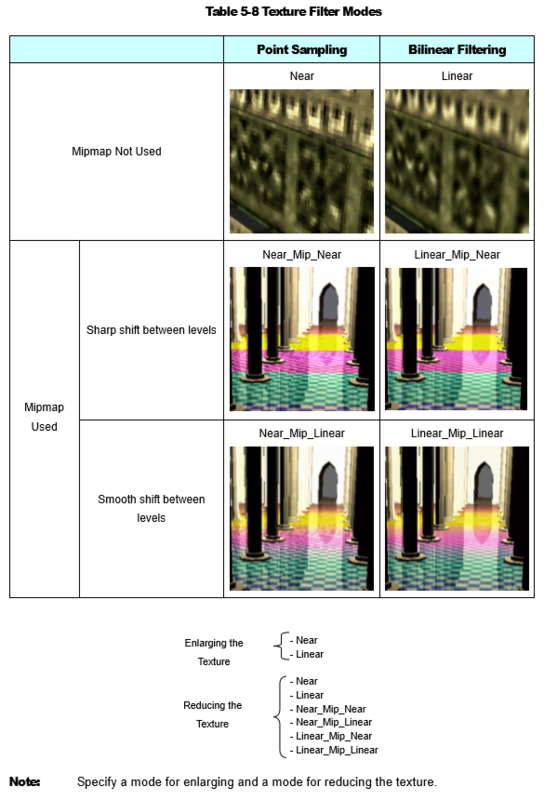 In games, textures can be filtered by either a linear filter or a nearest filter. If you've ever used photo editing software before, you might know these options as nearest neighbor or bilinear. 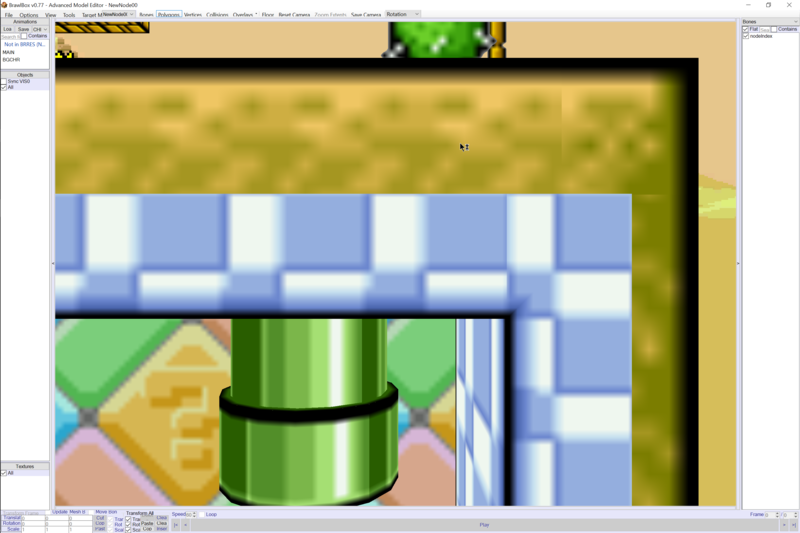 Linear filtering blurs the pixels when the image is low resolution, which is the cause of blurry textures when making stages or mods like the mario one shown above. However! Many might not know, but there actually is an option to change the filter for textures in brawlbox, rejoice! Then, in each of the materials that you want to use low-resolution textures for, simply change the mag filter in the texture options from linear to nearest, and you're done! The other filter is used for mipmapping, a method of resolution changing when models are far away, hardly anything in brawl uses this method, aside from some outsourced models like sonic or snake, but here's a texture refrence for the shading methods used by mipmapping. Page created in 0.128 seconds with 24 queries.